The fastest way to solve a problem is to identify the root cause. Failing that, you're depending on luck. Have a clue (also known as "Dr. Eric Bogatin's Rule #9"): Whenever you make a measurement, you must have some idea of what you should expect as a result. If you're wrong, the fault lies either in your setup or your intuition. The late Bob Pease, analog guru at National Semiconductor and famously opinionated industry columnist, was suspicious of Spice simulation for this reason. Too often, he claimed, engineers would run Spice without any sort of anticipation of what the results should be, and would let the tool lead them in the wrong direction in their search for the solution to a problem. Measurements help us confirm reality. It's a good habit for engineers to verify the specifications of a DUT by direct measurements. Documentation isn't always accurate. With the above in mind, let's look at what's meant by a "holistic" approach to power integrity (Figure 1). 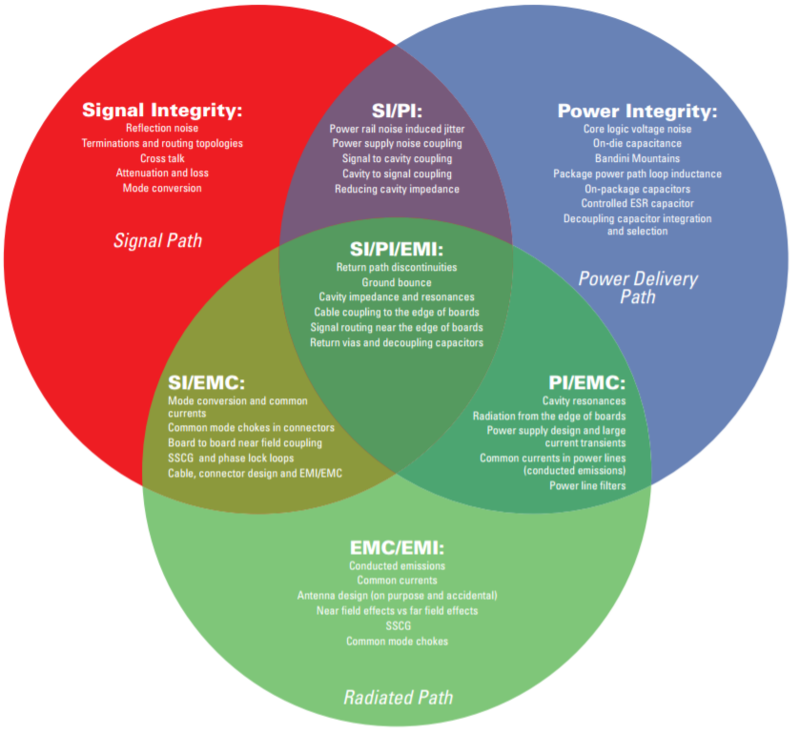 Within a system, there are three "worlds" or domains that we are concerned with: signal integrity (the signal path), power integrity (the power-delivery path), and EMC/EMI (the radiated path). These domains, of course, interact with each other in a complicated matrix of effects. 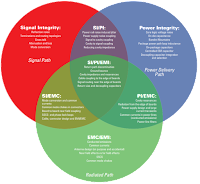 Having outlined the approach one should take to power-integrity measurements and taken a top-level look at the problems that power integrity entails, we'll continue with a review of the power-distribution network and why PDN design is so difficult.